The Japanese-style painter Hieda Kazuho (born in 1920), holder of the Cultural Order, is Professor Emeritus of Tokyo University of the Arts and a founding member of Sougakai. 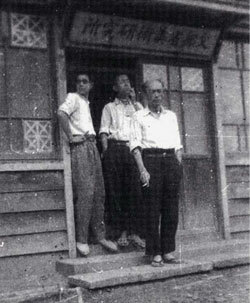 He graduated from Tokyo School of Fine Arts in 1943, and from the following year he worked for the Art Research Institute, the former National Research Institute for Cultural Properties, Tokyo, as a temporary employee for one year. The institute is currently editing Text Edition of 75-year history of National Research Institute for Cultural Properties, Tokyo, which will be published this year. As such, we interviewed many associated persons to ask them about the history of the Institute so that we can compile records. 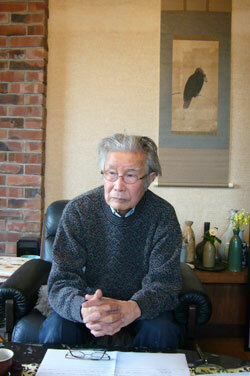 On April 14, we visited Mr. Hieda at his home in Tokyo, and he talked his early years at the Institute. In 1944, when war damage increased because of air attacks and the Institute was forced to evacuate its materials, Mr. Hieda took part in the evacuation work. He told us that he stayed at an evacuation home – Sakata City, Yamagata – for half a year, to protect the materials, until he received call-up papers in August 1945, and went home to Nara to enter the army. In the train that was on the way home, he found out about the end of the war. Despite his advanced age, he gave us an interview that lasted over 90 minutes, and we have a record of his valuable experience. The Department of Research Programming has made public its database for retrieving art documents starting from October of last year (during trial operation). The database consists of 268,000 cases and allows users to browse, from an overwhelming amount of data, art documents published between 1966 and 2004 by using three search categories: editors/authors, keywords and titles of journals. The Department, whose major goals are to accumulate and disseminate information, is now promoting collaboration with other sites to enhance dissemination. 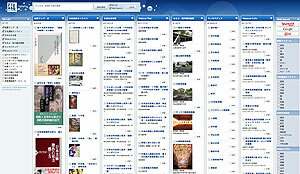 One such collaboration is with the unique association retrieval site “So (Imagine) ” that was started by the National Institute of Informatics. Mr. Nakamura Yoshifumi, a researcher of the National Institute of Informatics and a visiting researcher in our Department from this year, demonstrated the operation of this site at a research seminar of the Department held on April 21. If the art documents retrieval database is successfully associated with “So (Imagine),” we expect that a simultaneous display of information from various fields, not just that of art, will be possible. 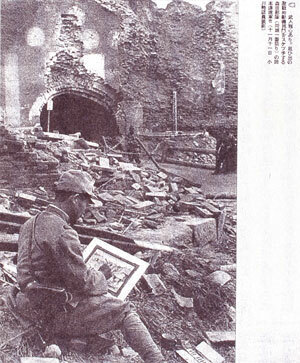 From “Drawing and Painting Soldiers from the Edges of the Japan-China War Battlefront and Art” (Kawada Akihisa) There were many drawing and painting soldiers in the battle area of the Japan-China War, and their artworks were widely known as a war pictures with reality. The Department of Research Programming has issued the collected papers of 26 domestic researchers, as shown in the title above. 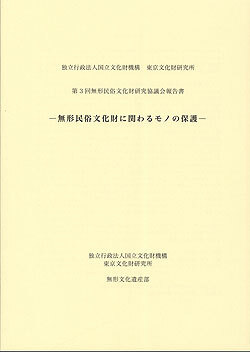 This document is an achievement of the project study “Integrated research on modern and contemporary art.” As a research edition of “A Study of Exhibits from Art Exhibitions of the Showa Era – Pre-World War II Volume”, basic data compilation issued in 2006, the trends of art before World War II are shown from the viewpoints of each researcher from various perspectives. The document targets the various genres of paintings and sculptures, engravings, photographs, and art works based on trend of the exhibits and art galleries, and it also includes themes particular to the pre-World War II period, such as proletarian art and war pictures. Please examine the various issues regarding art in the Showa Era. 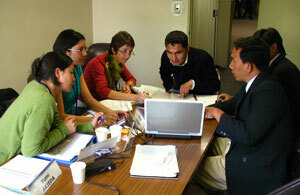 We hope that they will offer you new findings and help you to raise awareness of the issues involved. Refer to the pages issued by the Department of Research Programming for the titles of papers and the authors. 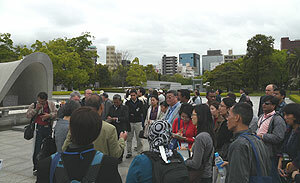 Mr. Tsuda Tetsuei and Ms. Sarai Mai of the Department of Research Programming will start this year to investigate and research important sculptures in Shiga Prefecture in a two-year plan, Investigation of and Research into Statues in Omi in Ancient and Medieval Times, Centering on Previously Undisclosed Statues such as Hidden Buddha Statues (representative researcher Tsuda Tetsuei). The two received funds for the investigation and research from the Idemitsu Culture and Welfare Foundation, and received cooperation from the research staff, who have special bonding with Shiga Prefecture, centered on Miho Museum. As our first project, we investigated the seated Avalokitesvara statue (245.3 cm high) at the Kannondo of Tendaishu Zensuiji Temple on Mt. 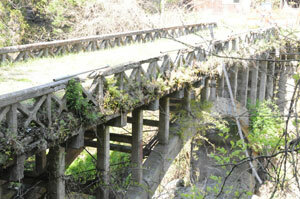 Iwanesan in Koga City from the early morning until the evening of Sunday, April 26. The existence of this statue was generally unknown up to now, and this is the first project to move it. Based on the style of the statue, it was probably carved in the late Heian Period, and it was kept in relatively good condition. We were given a glimpse into the abundance and versatility of the cultural properties of Shiga Prefecture, where such a great work existed unnoticed by most people. The Department of Intangible Cultural Heritage holds an annual meeting where preservation personnel, administrative personnel, and researchers gather: They decide a theme every year and discuss the protection and inheritance of our intangible cultural heritage. On November 20 of last year, the Department chose the theme Conservation of Goods Related to Intangible Folk Cultural Properties and held their meeting in the seminar room of the Institute. We summarized the details of this conference, issued a report in March 2009, and distributed it to interested persons and organizations. This report can also be downloaded in PDF format from the website of the Department of Intangible Cultural Heritage. The Center for Conservation Science and Restoration Techniques is studying the storage environment and deterioration status of iron cultural assets that have been stored outdoors, including airplanes, at the Kagamigahara Aerospace Science Museum. For this field survey, we visited Toyota City and discussed the conservation status and other issues related to versatile modern heritage that uses stone with local persons in charge. 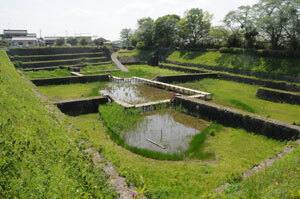 The heritage discussed includes Doudo timber basin, Darumagama kiln, Meiji Old Water service weir and boat lock, Isegamizuido Tunnel, and Old Gunkai Bridge. In addition to being the home territory of Toyota Motors, Toyota City makes use of many modern cultural properties, such as the silk culture from the Meiji Era and the transport of lumber via the Yahagi River. We will do our best to make small contributions to these efforts.